Update: Ronnie James has been home since Sunday night! This week we’re helping him to recover from his surgery here at home, and we’re waiting for lab results to come back. We should know everything by Friday, so I’ll post a detailed update then, for anyone who’s interested! Somehow, March dragged. March aspired to be the Texas of this (albeit still very young) year… it feels like we drove and drove, and it seemed to never end. Some of it was amazing. Some of it was depressing. Much of it was great fun, and a lot of it was eye-opening, too. It’s interesting how March going on forever makes the year, itself, seem long, and to be honest, I have to say that time creeping along like this bewilders me a little. Our sense of time is supposed to accelerate the older we get, a phenomenon I was experiencing normally up until this year. It’s interesting how circumstances in our lives can alter this perception. Now that we’ve finally arrived at April, it’s time to look back at that long month and pick out a few “little things” that stood out. I never go deep in these lists and talk about the people who bless our lives and make the world a better place for being in it. These lists are for talking about mostly superficial things, the cheap thrills, so to speak! This is a weird one, I know. 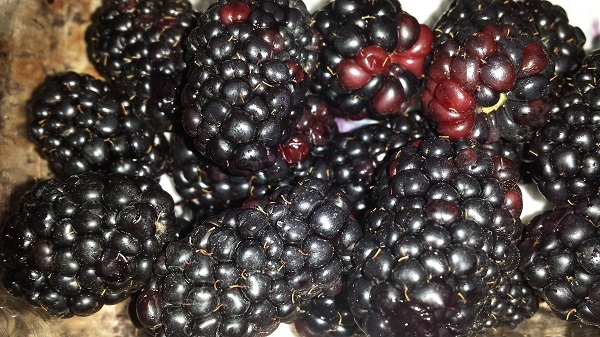 For whatever reason, the blackberries at the Target near us (Tempe Marketplace on Rio Salado) are the best. No other blackberries compare, and I don’t even want to know why. I’ll just enjoy them while we can! 2). 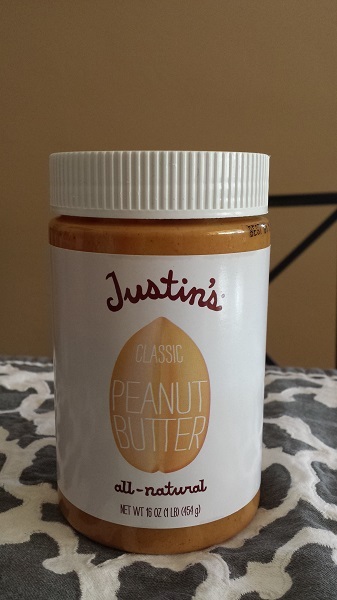 Justin’s classic all-natural peanut butter. Callaghan brought this home for me one day, and I’m loving it. I’ve been a huge fan of Justin’s dark chocolate peanut-butter cups for a couple of years, but I’d never tried other Justin’s products before now! 3). 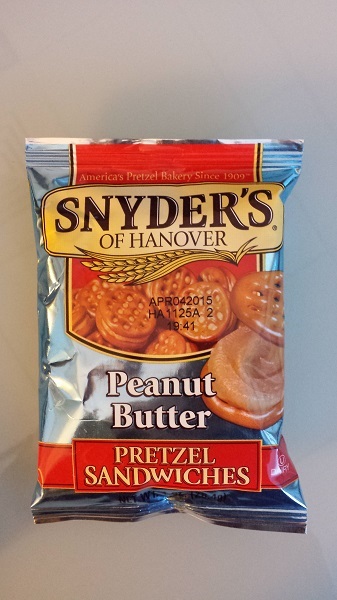 Snyder’s of Hanover peanut butter pretzel sandwiches. Snyder’s of Hanover peanut butter pretzel sandwiches. You know how it is. Sometimes, you just have to run downstairs in the middle of the afternoon and get yourself something kind of dirty to munch on from the corner store. These peanut butter pretzel sandwiches were my processed food guilty pleasure in March. There’re not entirely terrible for you, either, as it turns out! I mean, they’re not as junky as junk food can be. If you appreciate peanut butter as much as I do, you might need these in your life. I got this cream when I’d used up my old one, as I’d planned. It’s the night-time counterpart to the Acure day cream I’ve been using with respect to my New Year’s resolution to stop buying personal care products and cosmetics tested on animals. 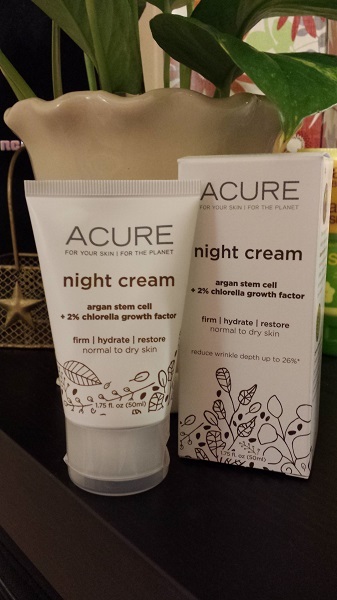 This is a good, hydrating night cream, and other than its strong herbal scent, which I don’t care for, I like it a lot. It has a nourishing feel to it, and my skin feels dewy (for lack of a better word) in the morning. However, because of that strong fragrance, I don’t think my search for the perfect, affordable cruelty-free night cream is over… my next one will be from another brand. I like this one enough to return to it if future selections don’t perform as well, and obviously I like it enough to include it here as a monthly favorite, but at the same time, I’ll be happy to find one that equals it without the clinging, almost medicinal herbal scent! 5). 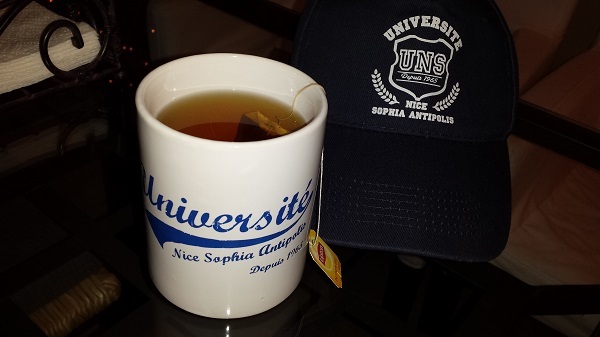 L’Université Nice Sophia Antipolis hat and mug. Mug and hat from my friend in Nice who works at L’Université Nice Sophia Antipolis. When we went to France, a friend surprised me with a mug and a hat from the University in Nice where she works. Merci, Matita! L’Université Nice Sophia Antipolis, represent! I love stuff like this. I thought it would be fun to send her the same from Arizona State University. Now there’s an honorary Sun Devil working à l’UNS. 6). 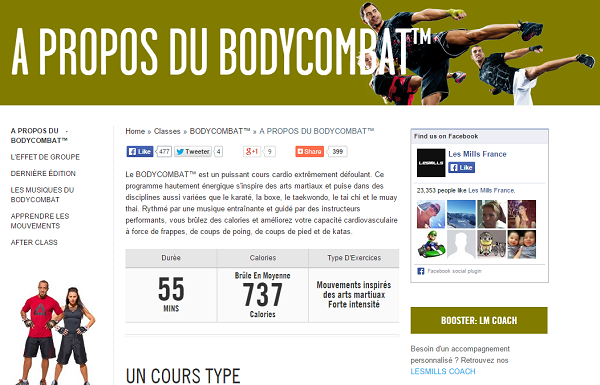 Body Combat in France. 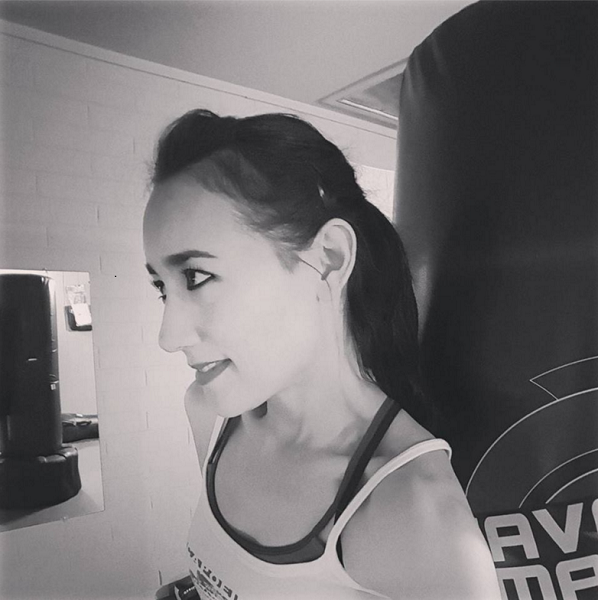 And thanks to our friend Chantal, there was that Body Combat class in Cannes we got to do while we were down south! I have to rave about it again, because I enjoyed it so much, and it’s at the top of my March favorites list. That was our only workout in about 10 days, and we didn’t waste it. We went full-on beast mode, as usual… or, to steal a phrase from our friend Sarah, beast à la mode! 7). Bag – K by Kookai (black satchel). I don’t know what I like better, this bag or the story behind it. In the weeks before we went to France, Callaghan became obsessed with the idea that thieves in Paris were going to sneak up behind me with scissors and cut the strap of the bag I was using at the time. “You need to get a little backpack with a strong strap,” he insisted. But Callaghan thought that my cross-body bag strap would get cut, so I found a small backpack-style bag with a zipper that ran down the length of the straps so you could use it either single-strapped or doubled. I thought the quality was good. It was from Marshall’s. I think it was a Steve Madden, or something like that. Anyway, long story short, the whole bag fell apart three days after we got to France. I mean, the zipper broke and the straps came apart from the bag itself, so, being a backpack, it was rendered unwearable. I trotted around the French Riviera with the bag in my arms, like a baby, then switched to the only other thing I had: a large and awkward purple and pink vinyl Kenzo perfume bag that one of Callaghan’s relatives in Paris had given us to transport the bottle of champagne she was sending down south with us to Callaghan’s Dad. It was annoying and uncomfortable. I wanted to avoid getting a new bag, but once we got back to Paris, I gave up on that idea and went looking for one. It’s just an unstructured satchel-type style with a long strap option, which I don’t use, but somehow, I like the bag a lot. 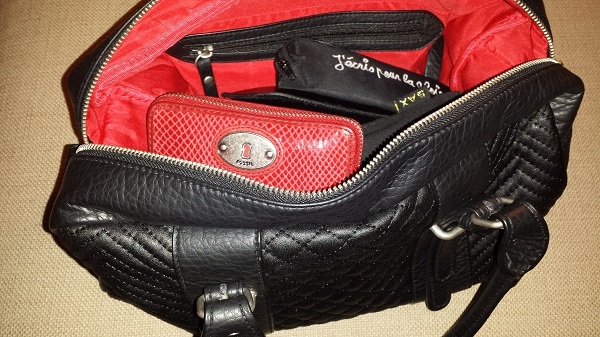 Actually, I think it’s the red lining that I really like… and it was totally affordable. WIN. *We like to jokingly call it “the f*cking Champs-Élysées,” but honestly? I wish they could move L’Arc de Triomphe out of there and set it somewhere less commercial and insane. So after that long story, I’ll let the images speak for themselves in the rest of this post! Oh, the lies… the plays… the dares! Now we wait a year to see what happens next. WAIT – who’s doing the following, and who’s being followed? 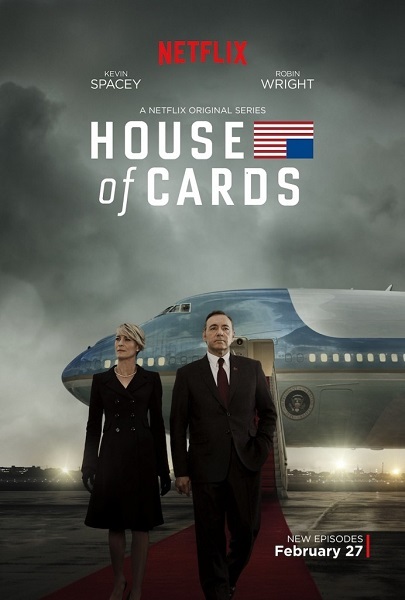 I love how you never know who’s who in this series. 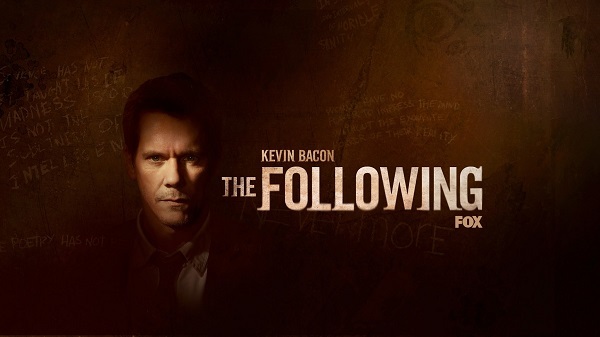 This season of The Following grabbed us by the throat in a way that last season didn’t, and we enjoyed last season! It’s always great when a good series gets even better, and it’s probably a good thing that the return of Hannibal was pushed back to June, or it’d be serial killer overload in our entertainment schedule up in here. 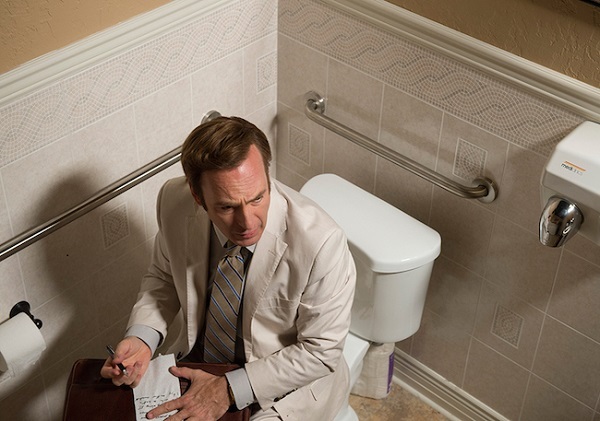 Have you ever watched the credits roll after an hour and said to yourself, “Self, that right there was a really good episode of television?” That was “Rico” for me, though honestly, this first season of Better Call Saul has been getting increasingly more compelling and impressive. I find myself dazzled by the unexpected depth and complexity of the protagonist, and by the development of his character, as well. Then there’s the writing of these episodes. Superb! Those were my picks for March. Now let’s get on with April! ← Ronnie James update Number 2 – Out, damned mass!